Sorry I’ve been a bit quiet recently, I’ve not been too well. I’m back now though! I’ve been looking forward to writing this review for ages, and now I feel that I have tried out enough recipes that I can do the book justice! 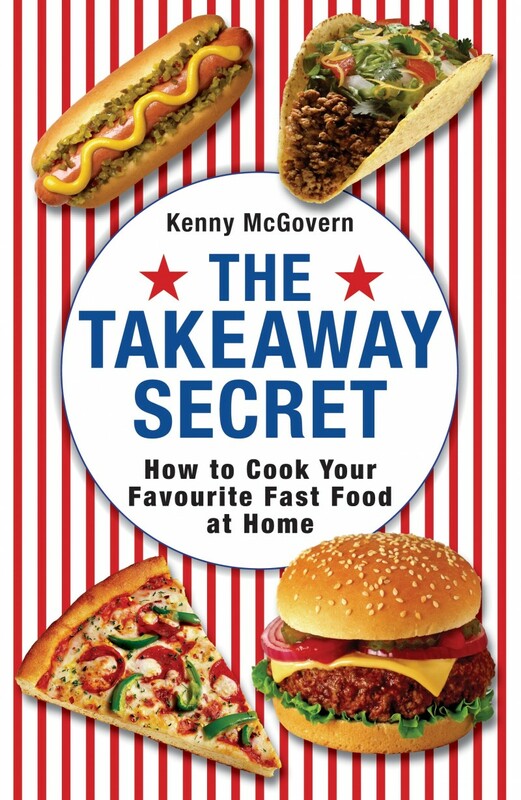 The Takeaway Secret is a fantastic book packed full of recipes so that you can create your favourite take away meals at home! I was particularly intrigued by this book as the author, Kenny McGovern became housebound as a result of suffering from Social Anxiety Disorder, depression and agrophobia. One of the things he really missed about being stuck at home was one of his favourite lunchtime sandwiches, so he set about trying to recreate it in his own kitchen! When he succeeded he decided to do the same with his other favourite takeaways foods…..the result is this brilliant book. Each chapter has a great variety of recipes, all of which are very easy to follow and, from the ones we have tried, produce great results! In order to put the book through it’s paces I selected three meals to cook and test out. Firstly we tried the Chinese Style Curry Sauce with some roast chicken leftovers. It was very easy to make and really did taste just like the takeaway version. In fact I preferred it to the takeaway version, largely because I knew what was in it – just some flour, water, herbs and spices! Having made a successful curry I decided to challenge myself to a different dish. At my husband’s request I made the Lamb Doner Kebab. This is something that I would never normally eat, as I can be pretty fussy about meat, and especially lamb. However the kebab was gorgeous and it was so easy to make, just needed lamb mince, herbs and spices. There is a recipe in the book for homemade pittas, but I did cheat and use shop bought ones this time. I did, however make two of the kebab sauces from the book – red kebab sauce and white kebab sauce. The end result was a kebab banquet, that (according to my husband) tasted very kebab shop-like and (according to me) was very tasty! To complete a trio of Takeaway Secret recipes we invited a bunch of the guys round for sport watching and burger eating. What better way to test out the Mega Burger with Special Burger Sauce (aka, the Big Mac)? Again, the recipe was so easy with no scary additions, just pure meat with some seasoning. The boys were all suitably impressed with their homemade “Big Mac” and agreed that if I’d bought the right type of burger buns (oops) it would have been just like the real thing! 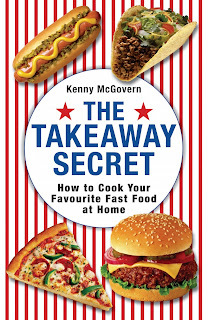 This really is a fantastic book, especially if you enjoy a takeaway now and then, but not the unhealthiness or cost that goes with it. Yes, it might not be quite the same as just flopping on the sofa and picking up the phone, but this book will definitely help save you some money!